2013 Crownline E4 EC, Here is a well cared for 24 foot deck styled boat. It was sold new at this dealership and traded back in here. All the service was performed here as well. It has many great features, such as, a folding arch, head with porta potti, docking lights, soft trac swim platform mat, bow step and bow ladder, and a built in battery charger. Loads of storage and seating space and very low hours on this fresh water boat. It is priced without a trailer, but one can be added if needed. 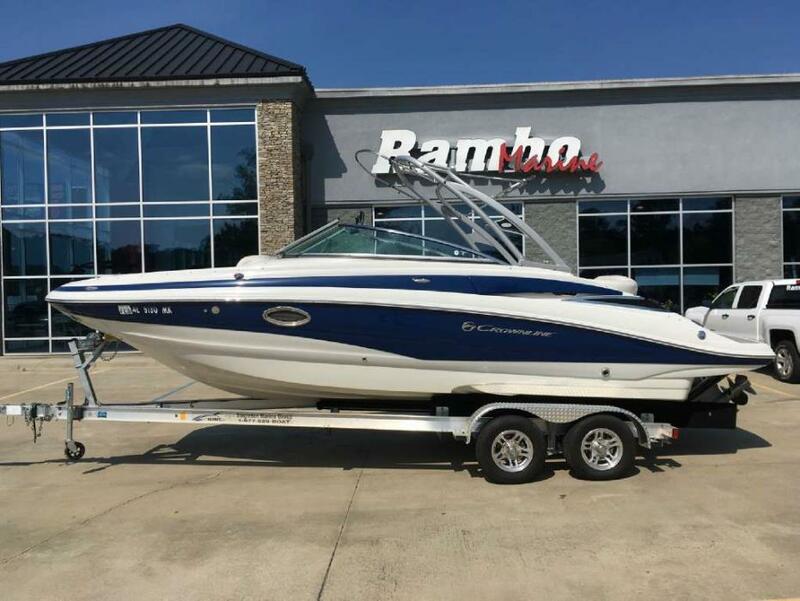 2000 Crownline 215 CS 2000 Crownline 215 CS This is a clean Dry Stored 215 Cuddy Cabin with about 320 hours on a Mercruiser 5.7l Alpha. It is equipped with Bimini Top with Enclosures and Full Mooring cover; Fish Finder; Alcohol Stove and Porta Potti. Rolling on a Tandem Axle Trailer with Brakes. 2013 Crownline E2 EC 2013 Crownline E2 EC ALABAMA STORE!! This is a Like New Crownline E2 Deckboat with only 23 hours on a Volvo 5.0GXi Duo Prop. 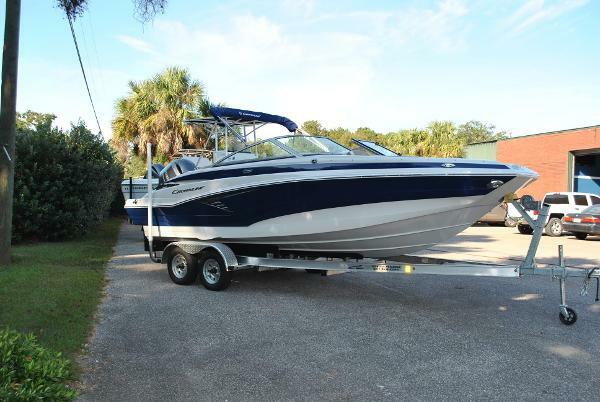 It is equipped with Aft Convertible Sun Lounge Seat; Battery Charger; Snap In Carpet; Depth Sounder; Docking Lights; Dual Batteries with Switch; Head with Window and Sink; Pressure Water System with 15 Gallon Tank; Upgraded Sony Stereo with 6 Wet Sounds Upgraded Speakers; Sport's Package; Captain's Call Thru Hull Exhaust all rolling on a 2011 Litening Aluminum Trailer with Brakes. 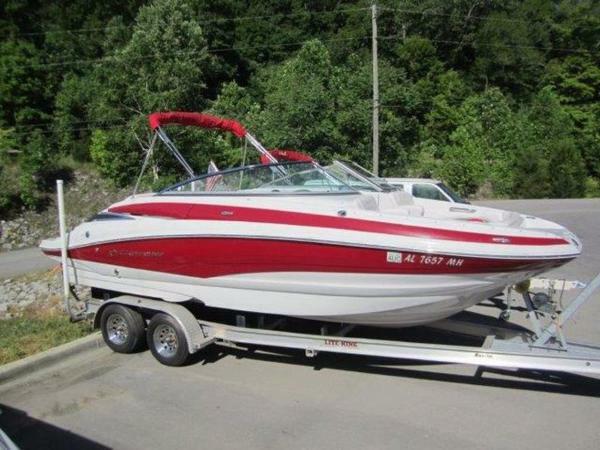 2000 Crownline 215 CCR, This is a clean Dry Stored 215 Cuddy Cabin with about 320 hours on a Mercruiser 5.7l Alpha. It is equipped with Bimini Top with Enclosures and Full Mooring cover; Fish Finder; Alcohol Stove and Porta Potti. Rolling on a Tandem Axle Trailer with Brakes. 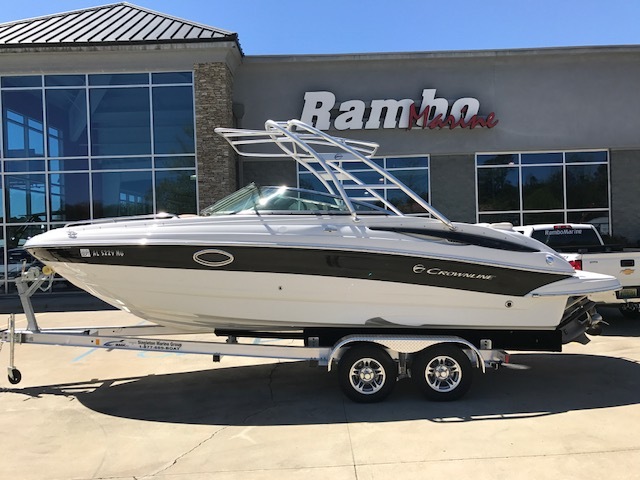 2013 Crownline E 2, ALABAMA STORE!! This is a Like New Crownline E2 Deckboat with only 23 hours on a Volvo 5.0GXi Duo Prop. It is equipped with Aft Convertible Sun Lounge Seat; Battery Charger; Snap In Carpet; Depth Sounder; Docking Lights; Dual Batteries with Switch; Head with Window and Sink; Pressure Water System with 15 Gallon Tank; Upgraded Sony Stereo with 6 Wet Sounds Upgraded Speakers; Sport's Package; Captain's Call Thru Hull Exhaust all rolling on a 2011 Litening Aluminum Trailer with Brakes. 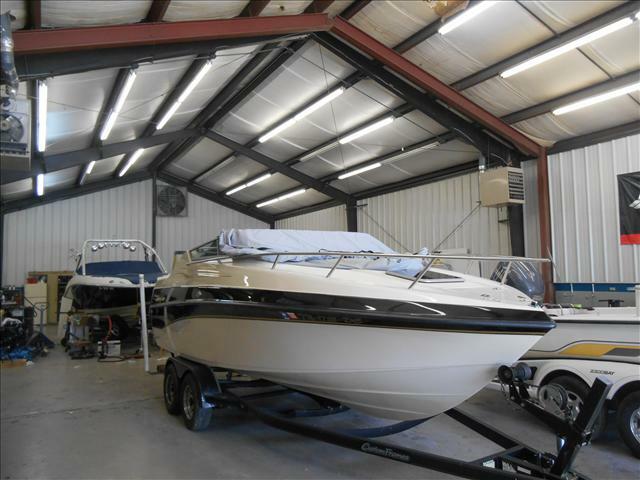 2000 Crownline Cuddies 215 CCR, This is a clean Dry Stored 215 Cuddy Cabin with about 320 hours on a Mercruiser 5.7l Alpha. It is equipped with Bimini Top with Enclosures and Full Mooring cover; Fish Finder; Alcohol Stove and Porta Potti. Rolling on a Tandem Axle Trailer with Brakes.